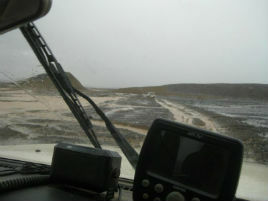 Kevin McDonald missed the match last Sunday - the Internet was down in a rainy Sahara. Click above to read his latest dispatch. Events at the Museum during October 2012. 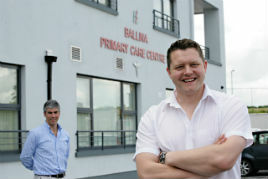 An Taoiseach Enda Kenny, TD, will perform the official opening of the Mayo Sports Clinic in Ballina on 6 October 2012. 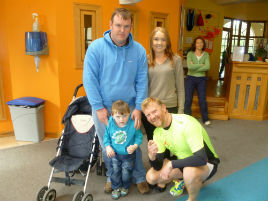 The second International Family Fun Day - Claremorris Athletic Club on Sunday 7th of October 2012 from 2 to 5pm. Castlebar born Mr. Alf Monaghan to lecture Mayo Historical & Archaeological Society at GMIT Campus. The game angling season is drawing to a close. Check out the late season catches. 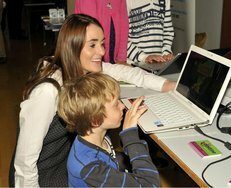 GMIT Enterprise Event Hears of New Opportunities for Start-Ups in The West. 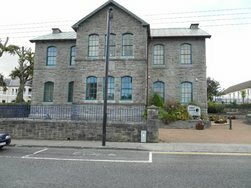 Three courses at the Family Centre, Castlebar, beginning in early October - check them out. Interesting field trip to Louisburgh area. 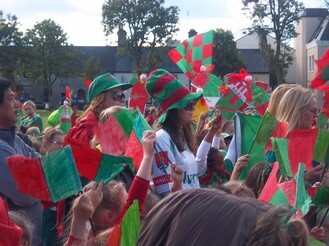 Mayo has gone all Green and Red ! Mayo County Library launch On-Line Story Competition.